We're doing it again! 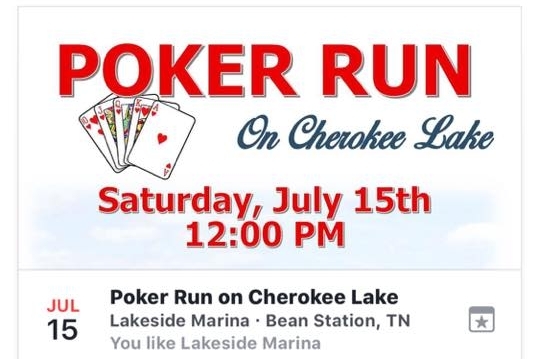 Lakeside Marina is having a POKER RUN to support a great cause, Serenity House. It's just $10 a hand and you can play as many hands as you want. Cash Prizes for Best Hand, Worst Hand, and a Random Draw. Load up your boat and come join the fun!